Gone are neutral, conservative, limited color designs. 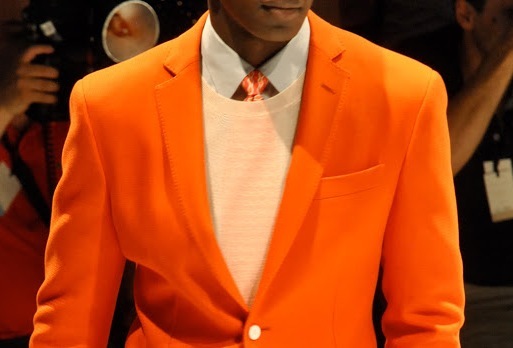 The trend for men this fall and into winter 2013 is for stylish patterns, fitted suits, wide cut lapels, and color. Plus hats. Lots and lots of hats. It’s time to be playful with your clothing. Mix patterns, such as a tweed sport coat or jacket with a plaid or stripped shirt. And don’t forget a scarf in a bold, striking color. As for those shirts, you’ll be seeing bold stripped colors, plenty of plaids and even checkerboard. And keeping with the fun look of fall 2012/winter 2013, you’ll be seeing men wearing ties with all these shirts….counter balancing patterns or, for those of you a bit less adventurous, solids but with bold, contrasting color. Pants will remain similar to recent years, with the flat front still in vogue. However, pleated trousers are making a strong comeback. And staying with the fall/winter trend, color will be the norm even with your pants. As for jeans, the look is either fitted or baggy. Sport coats remain a staple of a man’s clothing ensemble. And while the traditional navy blazer never gets old, colors, tweeds, and patterns will be seen to a greater degree than ever before. 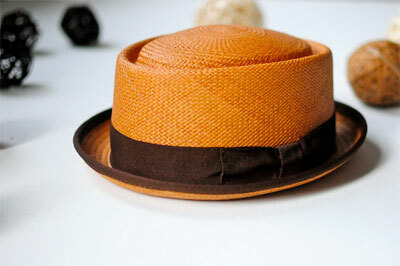 Hats of all designs and sizes will be seen adorning men’s tops this fall and winter. Think 40’s and 50’s and you get the idea for your topper. No matter what your style taste, go color this fall and winter. If mixing plaids and stripes is a bit too far out there for you, then simply use color to update your look. Color is definitely what the trend is for this fall and winter. Wear bold color shirts, sweaters, scarfs, Even a fun winter coat or jacket can be in color. Hot colors for men this fall and winter 2013 include dark teals, dark burgundy, bamboo golds, burnt sienna, raspberry wine, bright red, orange and all different shades of blue.